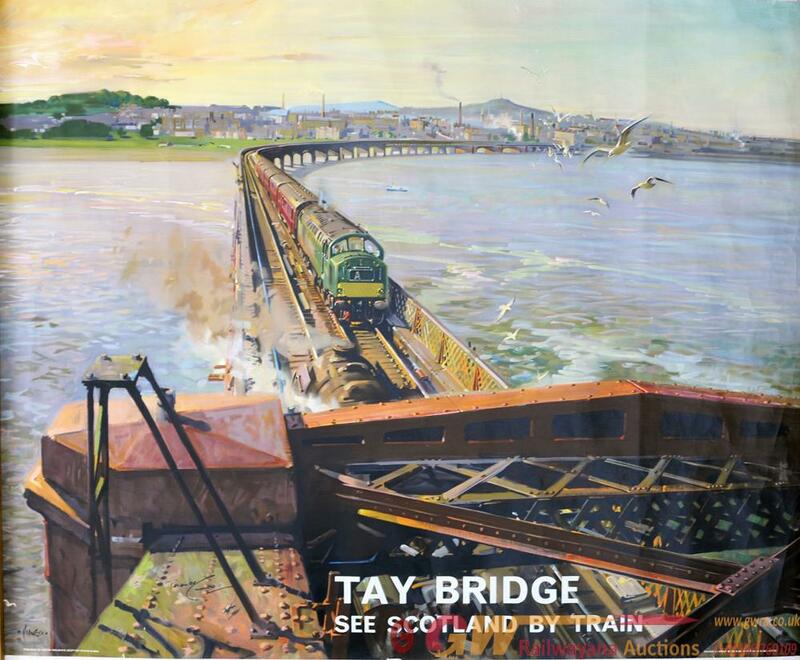 BR Poster 'Tay Bridge - See Scotland By Train' by Terence Cuneo, Q/R size. A most evocative image of a green EE Type 4 hauled train passing a steam hauled train with the bridge curving away in the distance. Printed by Waterlow & Sons.